The property is a narrow strip that parallels the Highway. 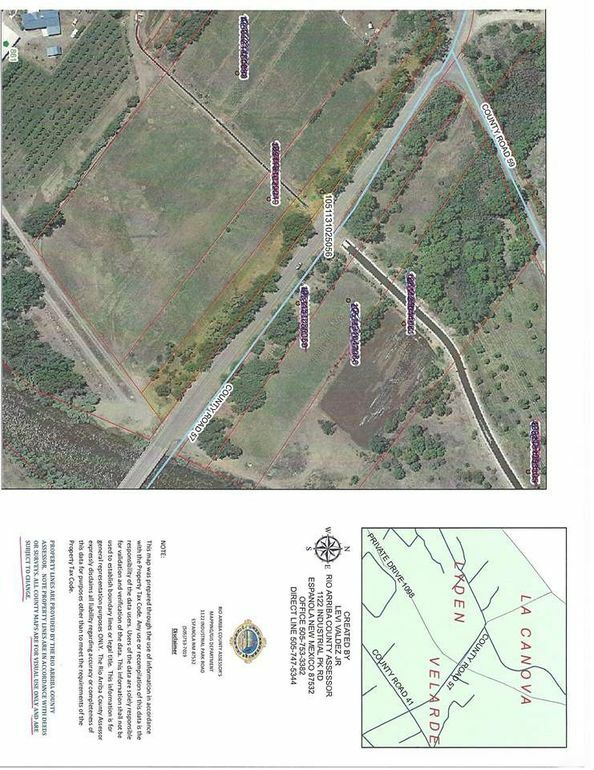 the lot is 1.05 acres and is approximately 50 feet wide. It has many trees and has a small canal that almost bisects the property. Electricity is across the Highway. Walk to the "Lyden Bridge" and fish along the Rio Grande River bank. Directions: From Espanola take Hwy 68 toward Velarde, Take the Lyden turnoff towards the west, CR 57/SR 592, cross the bridge, over the Rio Grande River, and property is on the south side of Hwy.